Finally! 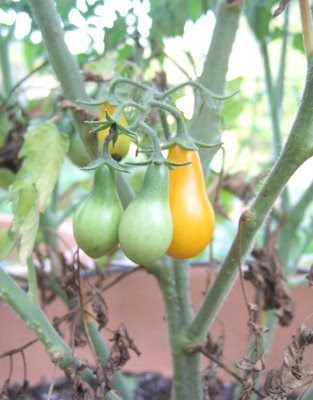 A yellow tomato has actually turned yellow! I can't wait to try these out! My summer squash was pretty smushed together, so I moved a couple over. They look like this during the day, then perk up over night. But by 9ish am, they're back to looking like this! I don't really get what's going on. I hope they survive. I'm starting to think of this corner of the garden as the Valley of the Damned...nothing seems to want to grow in this corner. 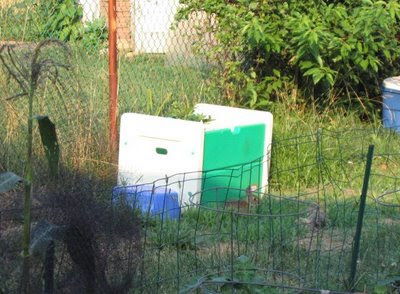 I had to put this outdoor toy box over our blueberry bush or my dog was going to trample it over. I want it to establish itself and get bigger before I move this away. So that probably won't happen until next summer lol. 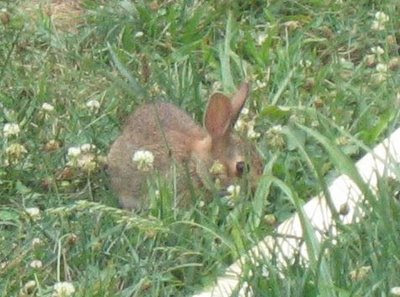 My daughter is obsessed with the bunnies in our yard. We see two on a fairly regular basis. So far they've left our garden alone. 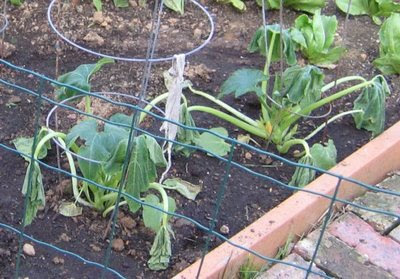 It's funny that I had to put up a fence around the garden more to keep my dog off of it than the bunnies.